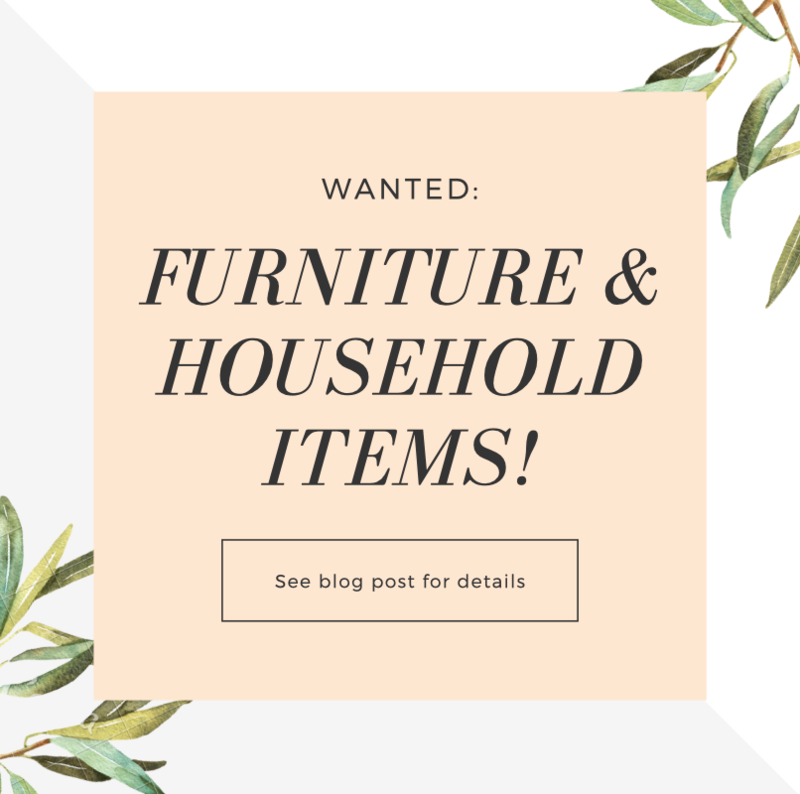 Wanted: Furniture and Household Items! Hello neighbors, supporters, and friends! At House of Light, we’re putting on our boots and safety goggles as we prepare for a much anticipated Demo Day. First item of business, the kitchen! Then on to a drainage fix, a new HVAC system, bathroom remodels, and several cosmetic updates. The house is completely empty and bare, but this will change very shortly with your help! In order to turn this funky and charming house into a cozy home, we are going to need furniture and household items. So far, a few wonderful people have donated beds, dressers, new laundry machines, lamps, etc., but we still have many rooms to fill. If you have lightly used items lying around taking up space in your garage, consider donating them to the House of Light and contributing to this wonderful cause! Below is a list of items currently needed. If you live in the greater Bay Area of CA and would like to donate any of the items below or donate monetarily toward renovations and fun updates such as a children’s playground, please email donate@kinkadefamilyfoundation.org. In your email please state the item(s) you’d like to donate, along with photos of the item(s). If you are in the San Jose, CA area, we are able to coordinate a pick-up of your donation if needed. CityTeam will provide all donors with a charitable receipt.